At the heart of Europe, the University of Limoges is a major multidisciplinary higher education establishment set in an ideal environment for scientific fulfillment. It is an outward-looking, vibrant institution with a wide-ranging student population, efficient reception structures, supportive staff and courses based on high-level research and directed towards clearly identified opportunities. With its state-of-the-art laboratories and ambitious partnerships, its scientific excellence is helping to invent the world of the future. EUCERMAT is led and coordinated by Gilles Trolliard, Teacher-Researcher at SPCTS laboratory. Safran is an international high-technology group and Tier-1 equipment manufacturer in its core businesses of Aerospace, Defense and Security. Safran has a solid business model in aviation, based in particular on its long-term partnership with General Electric. 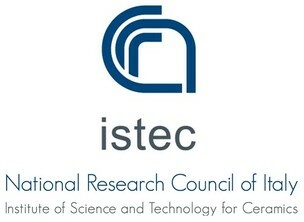 The Institute of Science and Technology for Ceramics (CNR ISTEC) is multidisciplinary research laboratory with long term activity programs on the whole range of ceramic materials. The representative for ISTEC is Ms. Valentina Biasini, research technologist research technologist with a background on material science and expert on microstructural characterisation of ceramic materials. She is also the Quality Manager of ISTEC CNR. Since 1970, System S.p.A. has been developing its know-how in strategic sectors such as ceramics, logistics, electronics and packaging. The investments made in R&D sometimes exceed 5% of the annual turnover, which has gradually led to registration of over 300 invention patents. This has also been possible due to fruitful partnerships with the world’s top scientific research centres. The University of Limerick (UL) is an independent, internationally focused university with over 13,000 students and 1,426 staff. 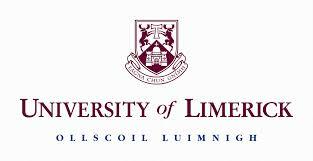 It has an established reputation as Ireland’s leading university in industry-led research. This has resulted in significant research commercialization activities and collaborations between our leading researchers and industry. The representative for UL is Dr. Eamonn de Barra, from the The Centre for Applied Biomedical Engineering Research (CABER) and Department of Mechanical, Aeronautical and Biomedical Engineering. The University of Aveiro (UAVR) is among the most dynamic and innovative universities in Portugal. The UAVR has 15000 students (graduate and postgraduate) and a unique model of governance (16 Departments, 4 Polytechnic Schools and various training centres). The representative for UAVR is Dr. Paula Vilarinho, Associate Professor at UAVR since 2000 and member of CICECO. She is the leader of the Electroceramics Group. 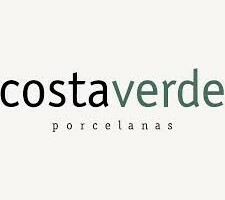 The Porcelains of Costa Verde SA. Develops, manufactures and markets ceramic tableware porcelain for household, hotel and restaurant. It has a very updated plant, using innovative design and manufacturing processes that are benchmark policy based on a continuous level of best technology and best technology and best available techniques improvement.